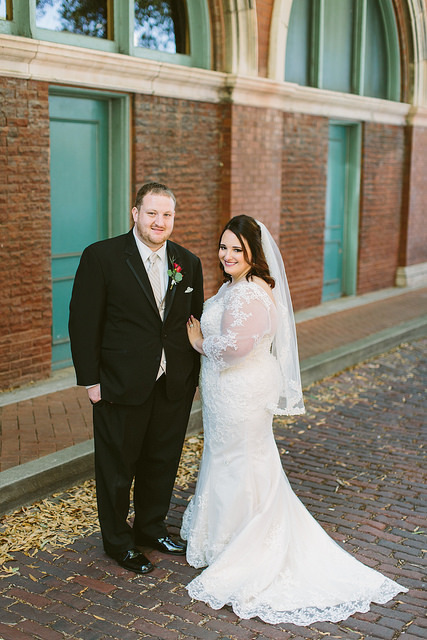 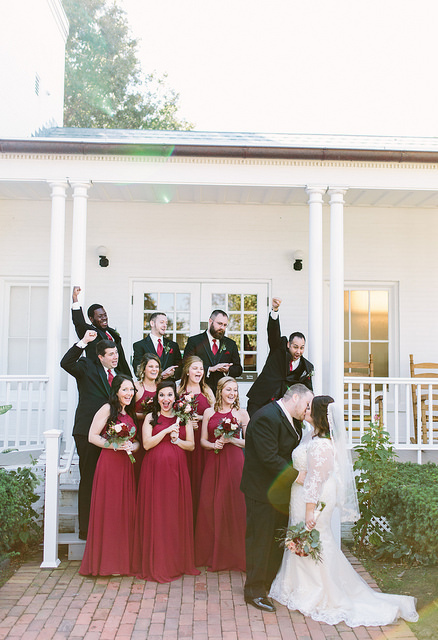 Vintage details meet a modern color palette with this gorgeous wedding! 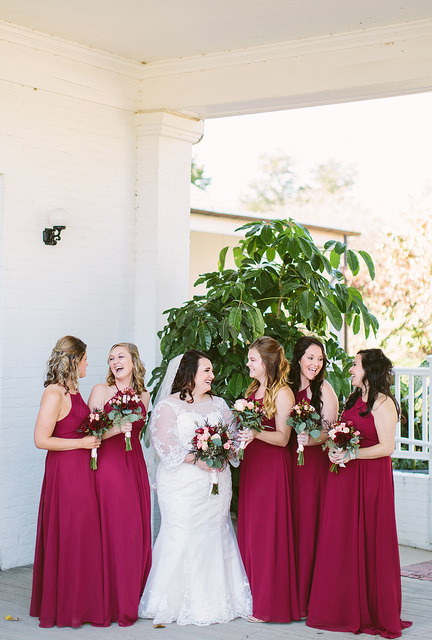 Morgan and Tyler had a true #Azazie wedding with the bride in our Dorothy bridal gown and the elegant bridesmaids in one of our most popular styles, the Ginger. 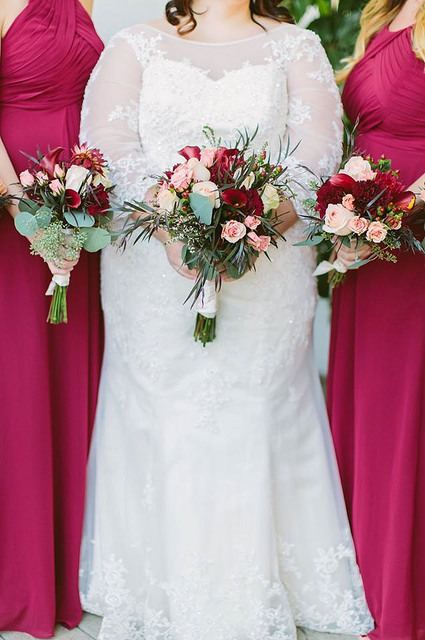 The deep burgundy complemented the pink tones in their flowers perfectly, and their wedding photos are a sweet mix of fun and sophisticated. 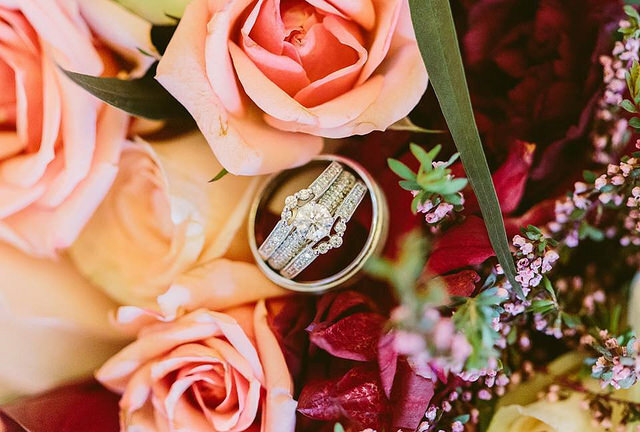 Take a look at some of their amazing photos below! 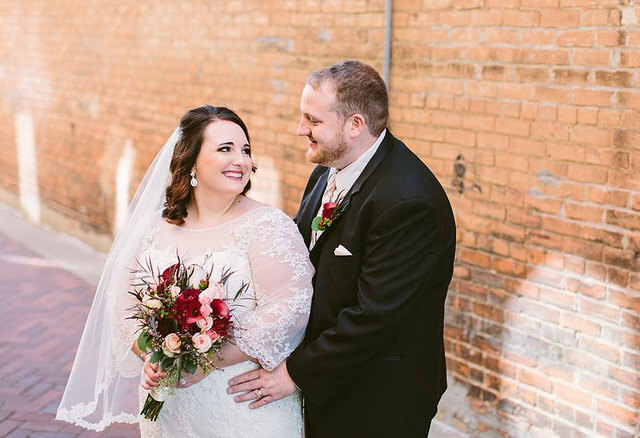 Photos courtesy of Megg Allison Photography.